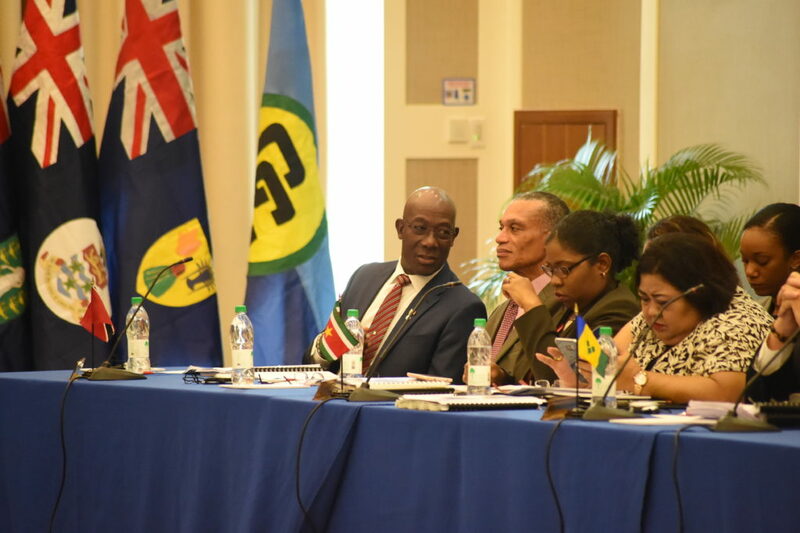 Regional security, tourism and the Caribbean Single Market Economy (CSME) are some of the key issues on the agenda at the 28th Inter-Sessional meeting of the Conference of Heads of Government of the Caribbean Community (CARICOM) which began today in Georgetown, Guyana. Prime Minister, the Honourable Dr. Keith Rowley heads the Trinidad and Tobago delegation in Guyana for the two-day meeting. During today’s opening session Secretary General, Caribbean Community, Ambassador Irwin LaRocque identified several issues which require the leaders’ attention. These include economic development, crime and security and international relations. LaRocque indicated that the Revised Treaty of Chaguaramas outlines the requirements for the establishment of the CSME. He stressed that the CSME is the best vehicle to promote overall economic growth and development throughout the region. He pointed out that while some progress has been made towards CSME, there was still more work to be done in that area. Chairman of the Conference of Heads of Government, Honourable Roosevelt Skerrit, Prime Minister of Dominica and Chair of Conference of Heads of Government and His Excellency Brigadier (Ret’d) David A. Granger, President of Republic of Guyana also gave brief remarks at the opening session. Also on the agenda for discussion is the ratification of decisions from the 37th Regular Meeting Conference (July 2016, Guyana), Information and Communication Technologies for Development (ICT) and other regional matters. 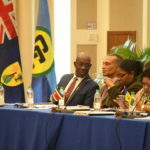 Prime Minister Rowley and his delegation will return to Trinidad and Tobago on Saturday morning following the close of the conference on Friday evening. Minister of Finance the Honourable Colm Imbert is acting as prime minister until Dr. Rowley’s return.